This Friday, February 13, 2009, we will see something that has never happened before, and will never happen again. Numbers representing time will align perfectly. Many of you have probably heard of time referred to as UTC (Coordinated Universal Time). Many of us (including me, before today), never really give much thought to how time is calculated, and still think that GMT (Greenwich Mean Time) still refers to the time in Greenwich, England. That was true from 1884 – January 1, 1972. Instead, in 1972, UTC replaced GMT as the basis for the primary reference time. 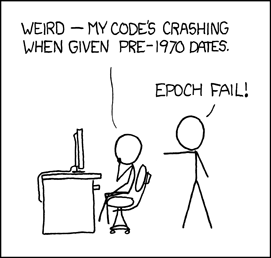 On Friday, February 13, 2009 at 6:31:30 PM EST, we reach a unique number of seconds in Unix time.